There are things in life that are unexplainable... no matter how many studies, surveys or tests have been made, some things are just beyond our comprehension. It just can't be "figured" out. Love is one of those things, don't you agree? As a believer, the greatest love I know is the one that Jesus exemplified to us all... Because of His love for us, we are able to show love to others especially to the one we vow to cherish and to honor for the rest of our lives. I can't get over the fact how finding "the one" in your life is such a miraculous thing. How God can bring two people together out of literally billions of others in the world... Two people who are so perfect for one another. But then again... how great and awesome is our God! 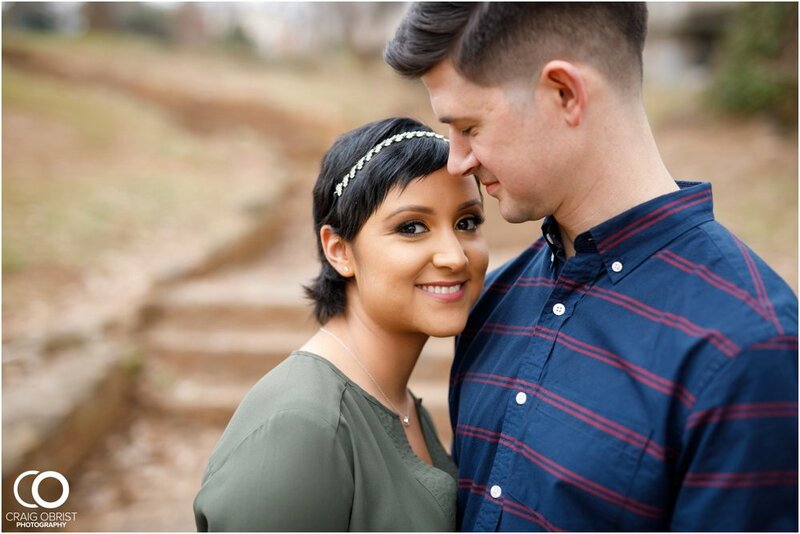 We have been following Emily + Aaron's story on social media for awhile. Just like anything in life, we can choose to use things for good or bad. 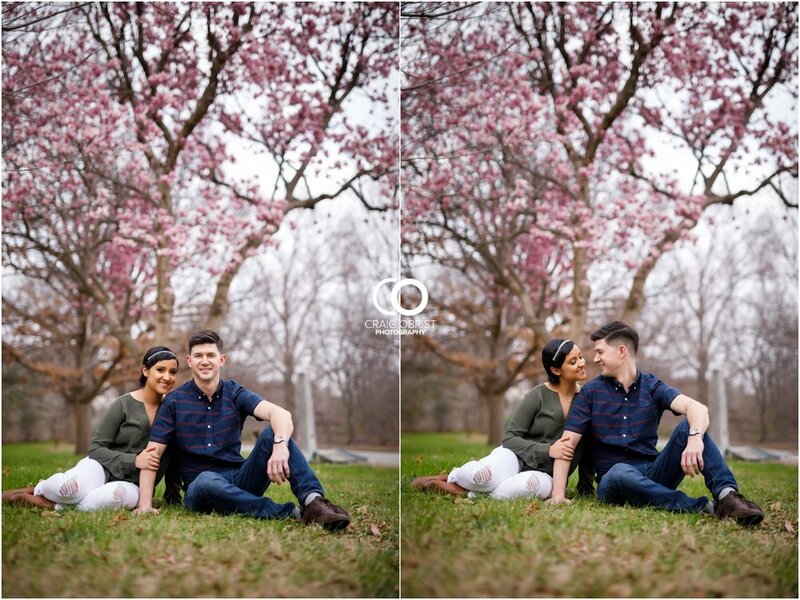 This couple knows how to use social media for good and to make a positive impact. 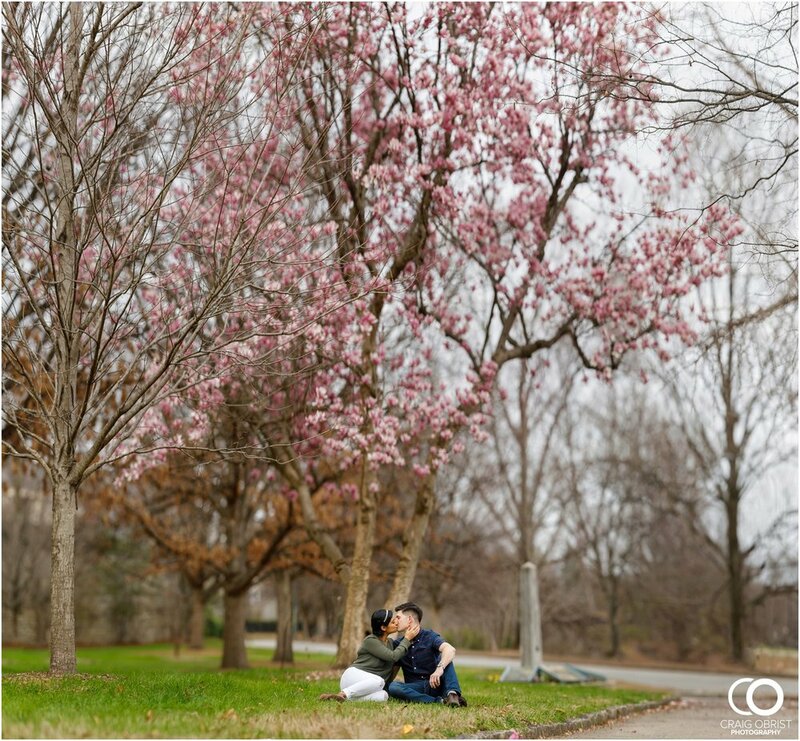 Their story really stood out to us... We had a secret dream that when they get engaged, we would have the honor of capturing their love story. Well, it's amazing how God gives us little whispers sometimes and how when you obey it, good things happen. 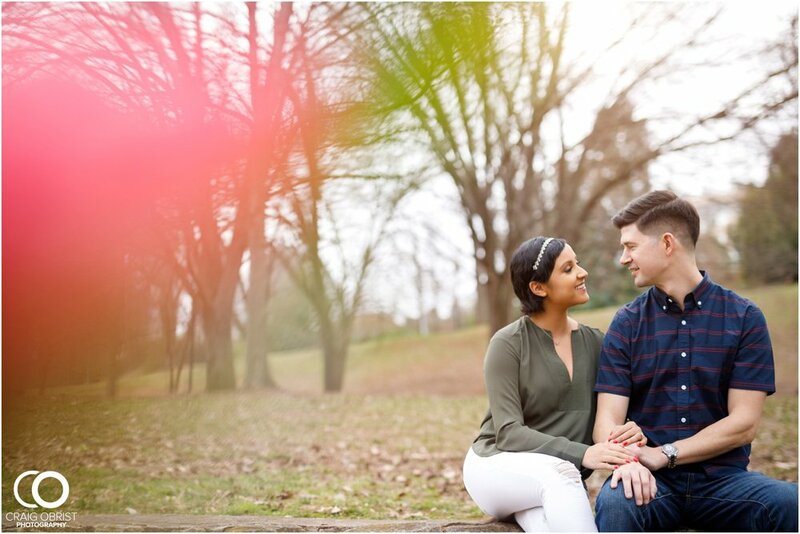 He made our secret dream come true.... We were so stoked when they said that they loved our photography style and here we are now blogging their engagement portraits! WOOT WOOT! 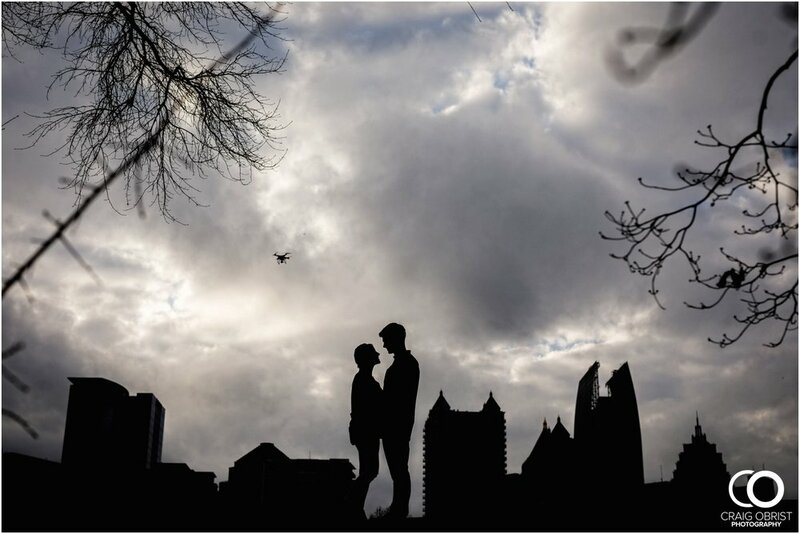 Even though we've never hung out as couples before, it was amazing how connected we felt when we met them at Piedmont Park. Emily is a strong, amazing woman of God who knows how to have faith in Him no matter what circumstance life may bring. She is such a joy to be around... And Aaron! What an example of love this man has! He has stood by her and adored his lady from the beginning unconditionally. The way they speak of one another, the way they gaze at each other all just show the deep love that they have for Jesus and His amazing ways.